Mass Raja Raviteja is getting ready to entertain movie lovers turning Disco Raja under the direction of VI Anand. Raviteja is romancing RX 100's hot sensation Payal Rajput and Nannu Dochukunduvate fame Nabha Natesh in the film which is generating tremendous interest. Payal Rajput is playing the role of a blind and dumb girl and she is already undergoing training for her role visiting various blind schools. 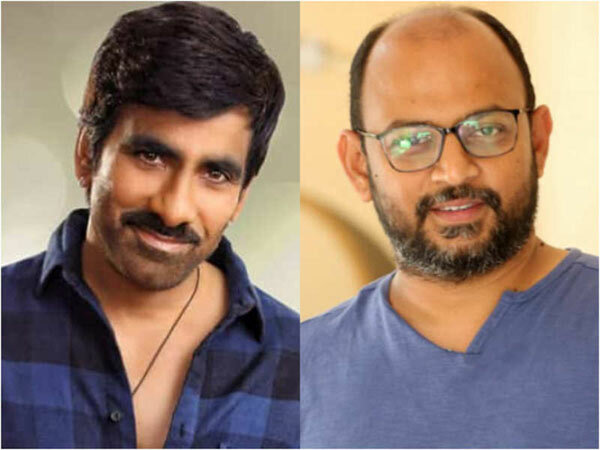 As per a grapevine, Raviteja will be seen as an old person in the film. The story revolves around an old man who disappears and takes revenge taking the form of a young man. So, he will be seen in two different avatars as an old man and a young guy. Many are already out to find out from which Hollywood film VI Anand drew inspiration from. VI Anand earlier attracted with films like Okka Kshanam and Ekkadiki Potavu Chinnavada.